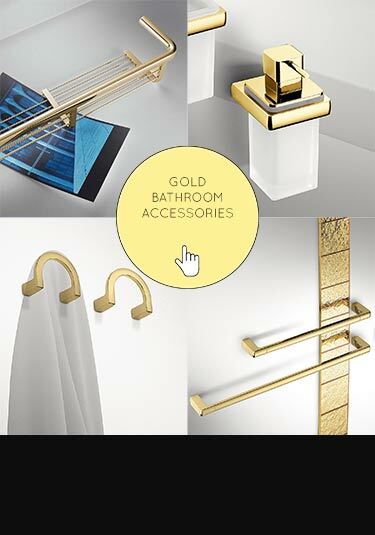 A beautiful collection of waterfall style gold taps in a luxury gold plated finish. 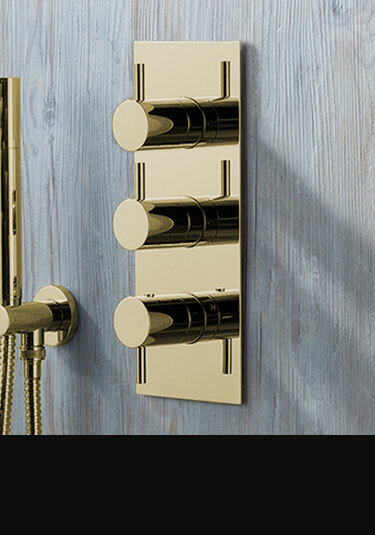 These exclusive taps are the latest in European styling and lovely quality. 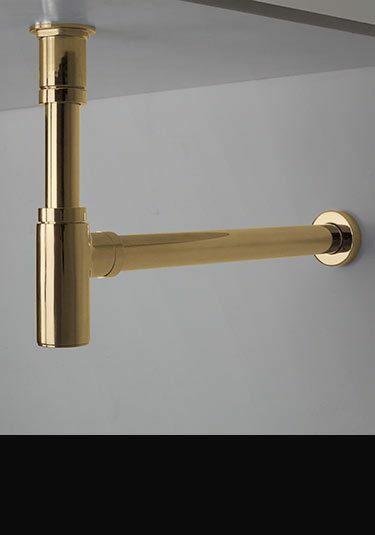 Please note gold finished taps are supplied to special order, please allow 3 weeks. 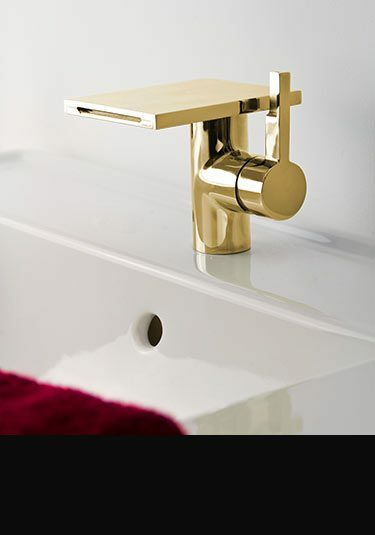 A nicely compact but still very stylish, this gold basin tap makes a lovely design feature to any high quality bathroom. 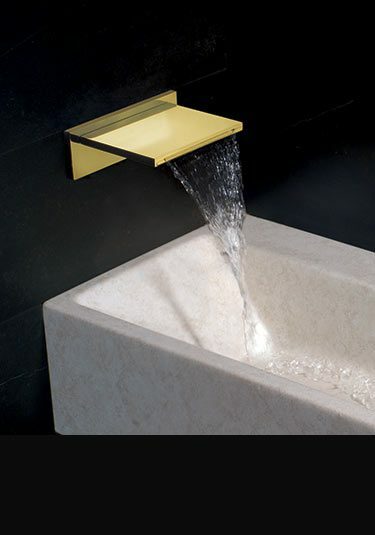 The water calmly cascades from the 100mm waterfall spout which is operated by the single lever mixer. 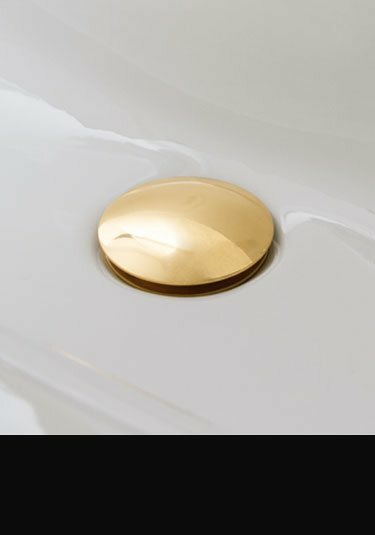 Beautiful as well as impressive, this gold plated basin tap is ideal as a focal feature within a bathroom design. 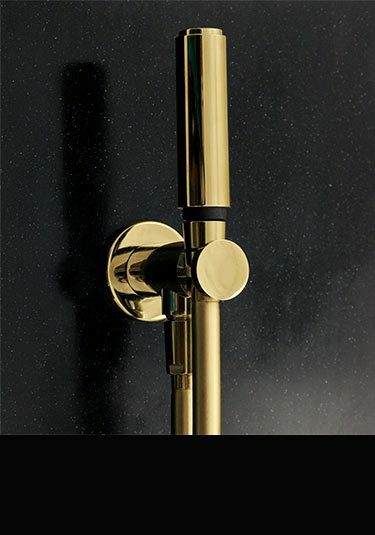 Each luxury tap is European designed and remotely operated via a single or double tap control. Lovely luxury quality. 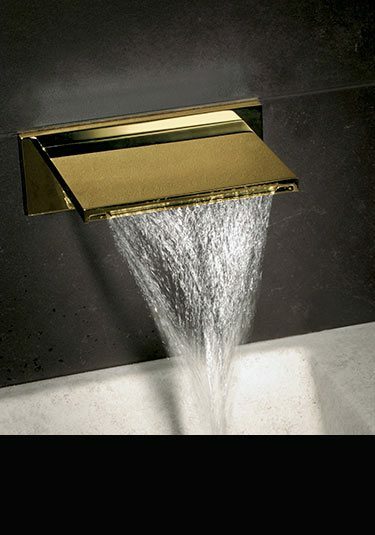 This designer gold waterfall tap is an impressive design theme to any luxury design led bathroom. 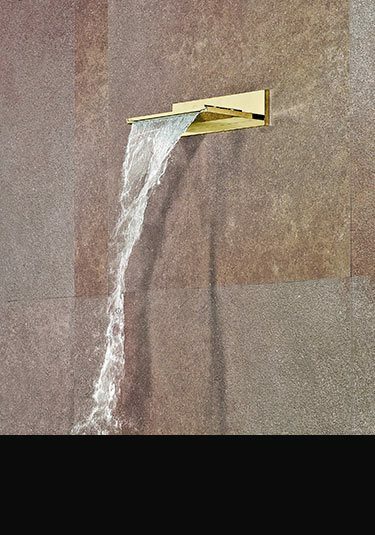 With a large 200mm waterfall spout, this luxury tap is operated remotely using wall or deck mounted tap controls. 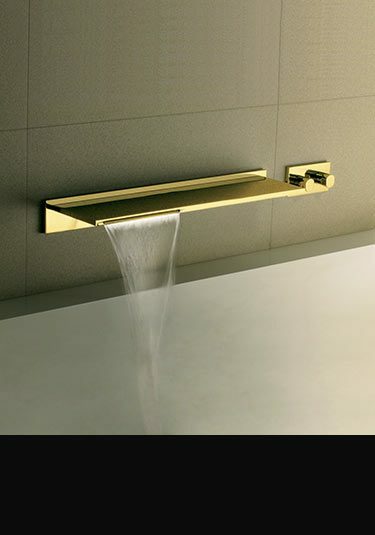 This Italian designed gold shower head has a waterfall spout and is the latest in luxury styling. 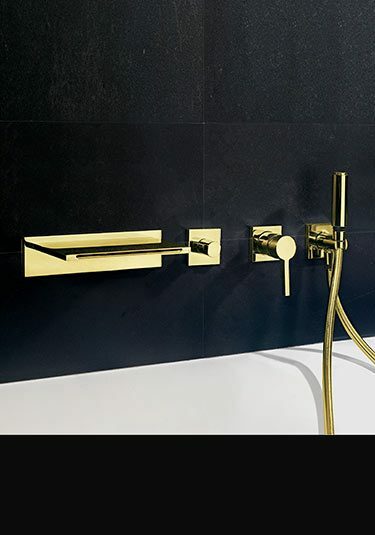 Manufactured in Europe in solid brass, this waterfall shower makes a beautiful design feature within an exclusive bathroom design. 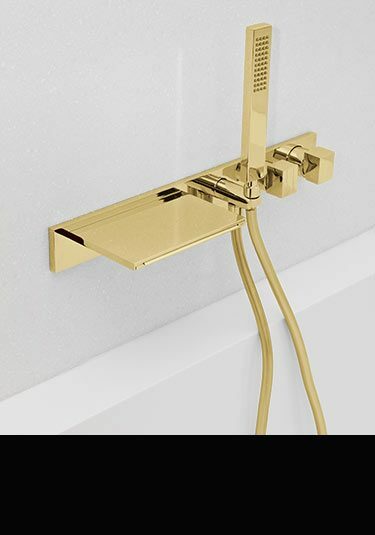 This wall mounted douche shower head is finished in a lovely gold plated finish. Each handheld shower head is cradled onto the wall water outlet holder, allowing clean cut styling. 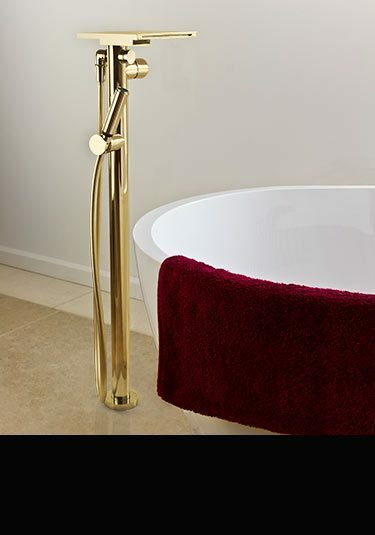 Lovely quality gold plated shower valve made and styled in Europe. 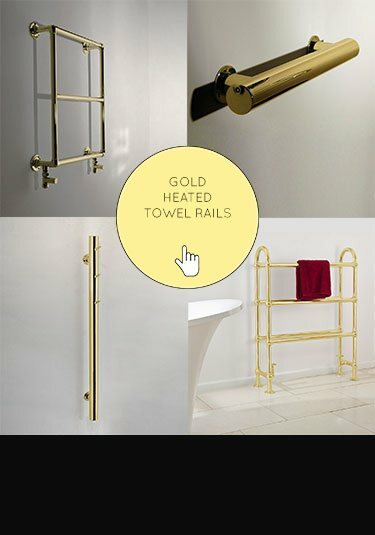 This gold shower control is available as a multi-function valve with 2, 3 and 4 showering functions.